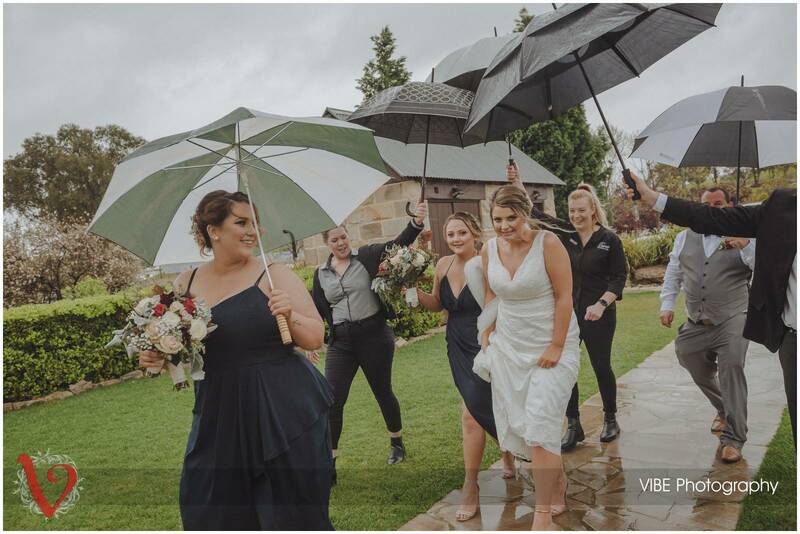 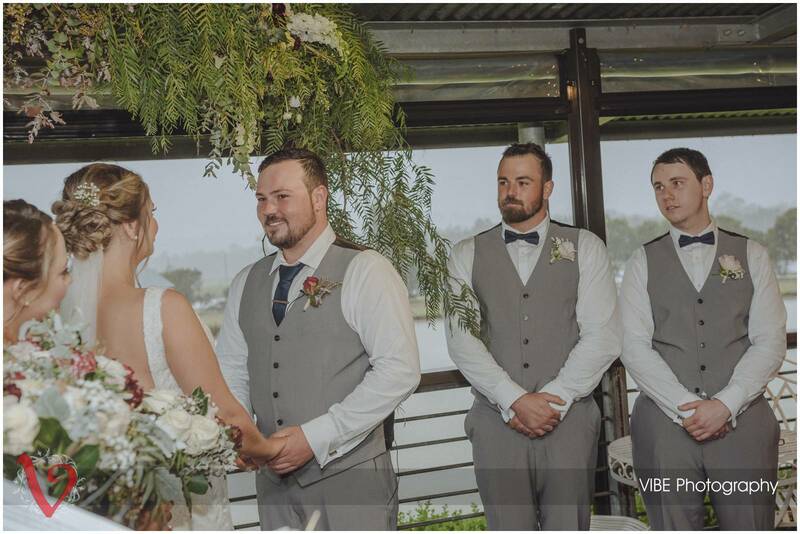 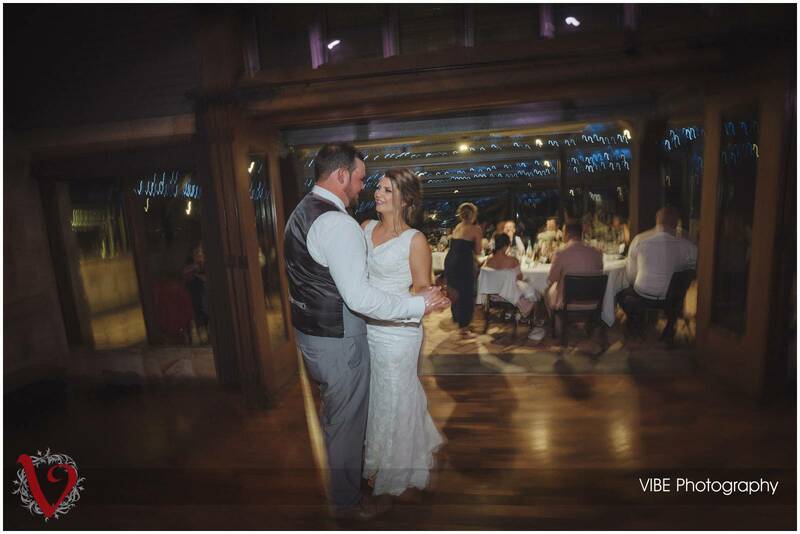 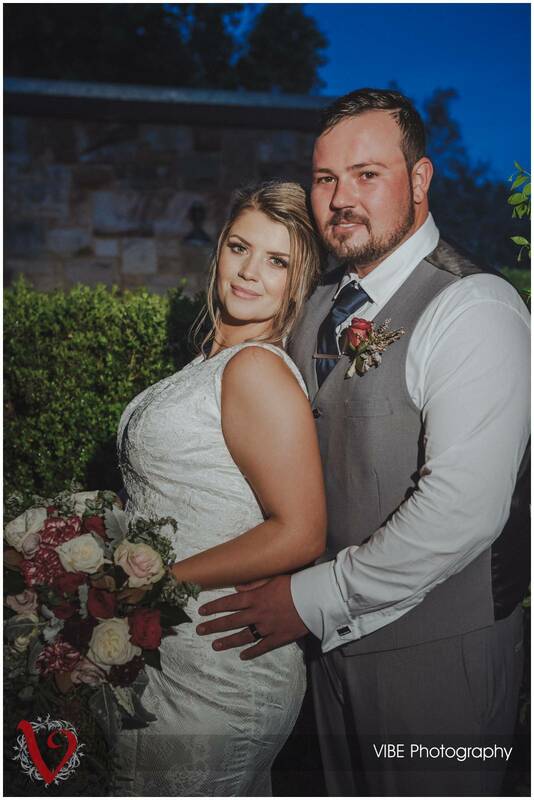 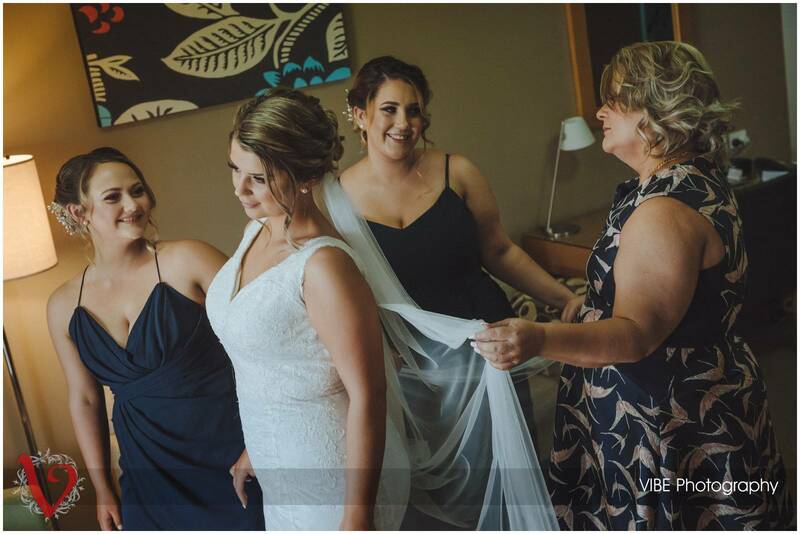 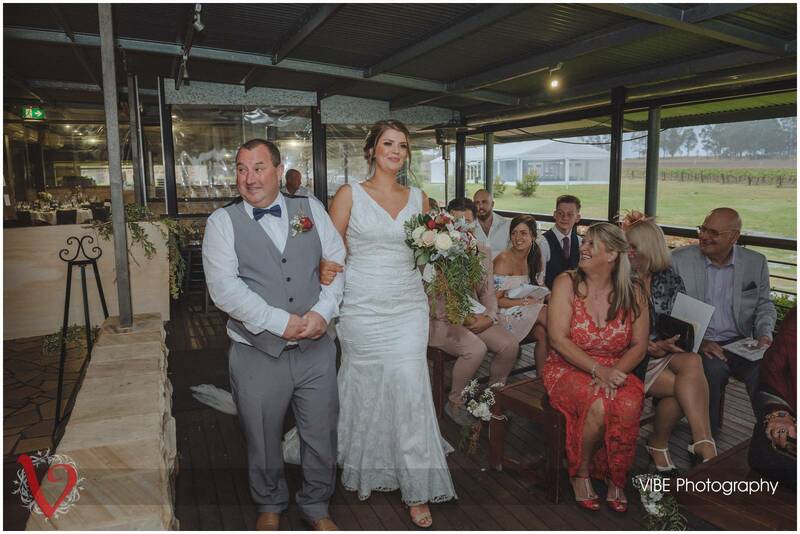 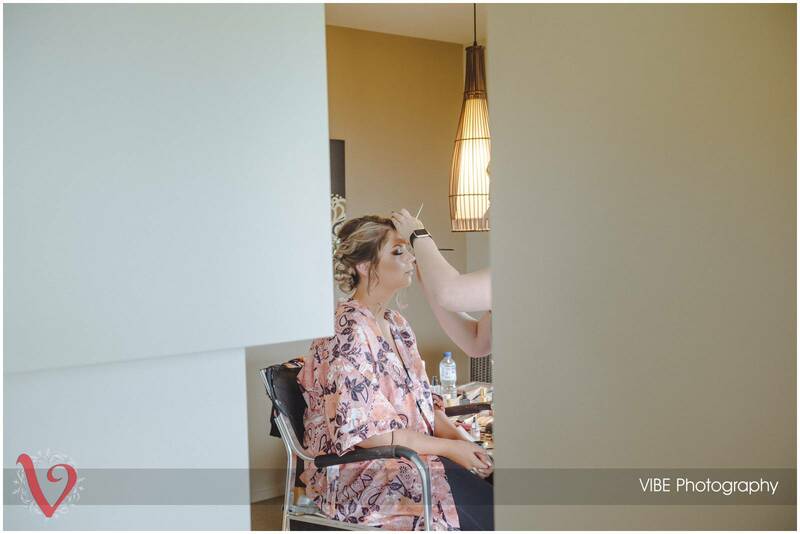 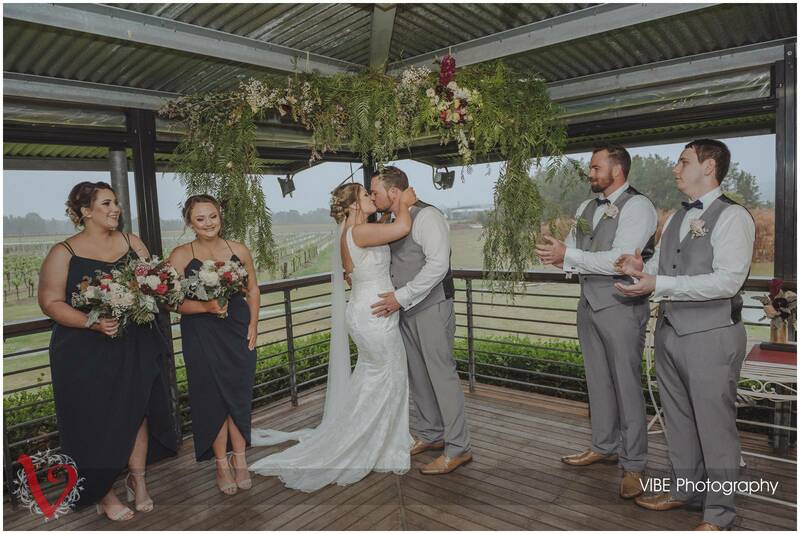 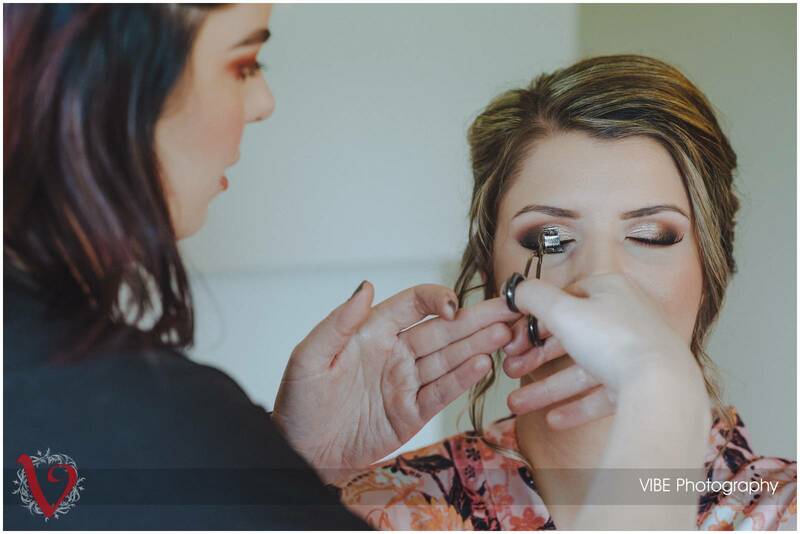 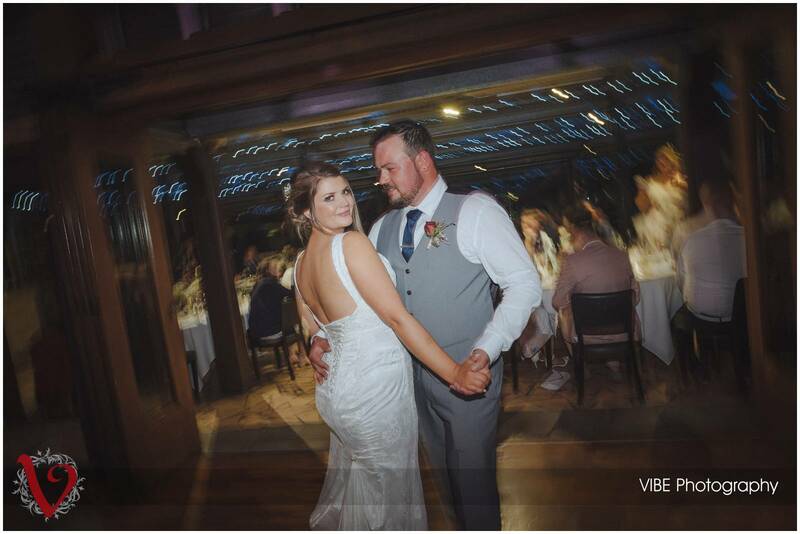 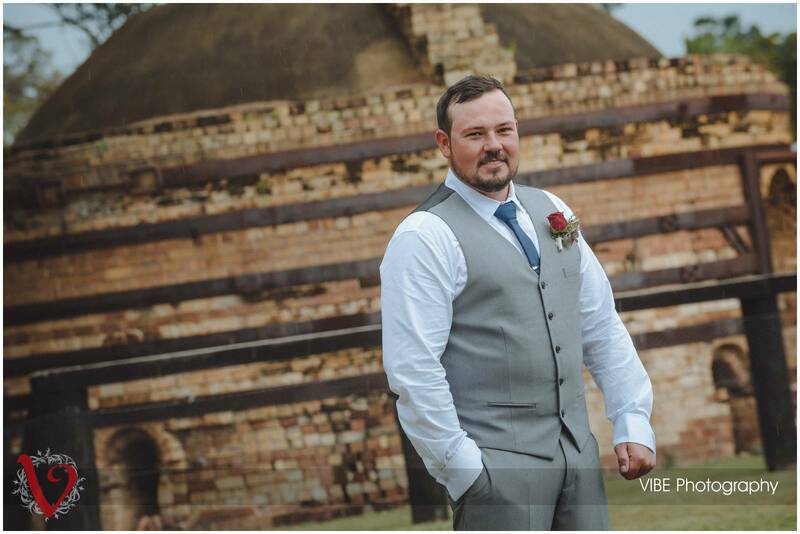 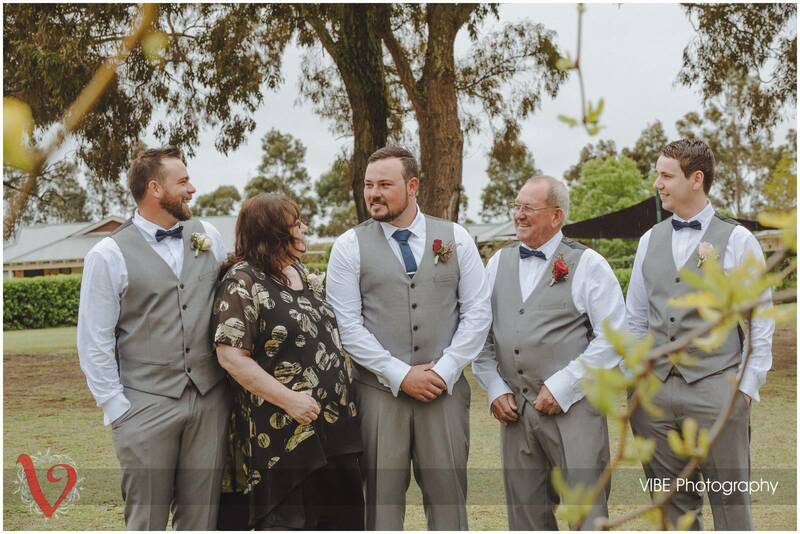 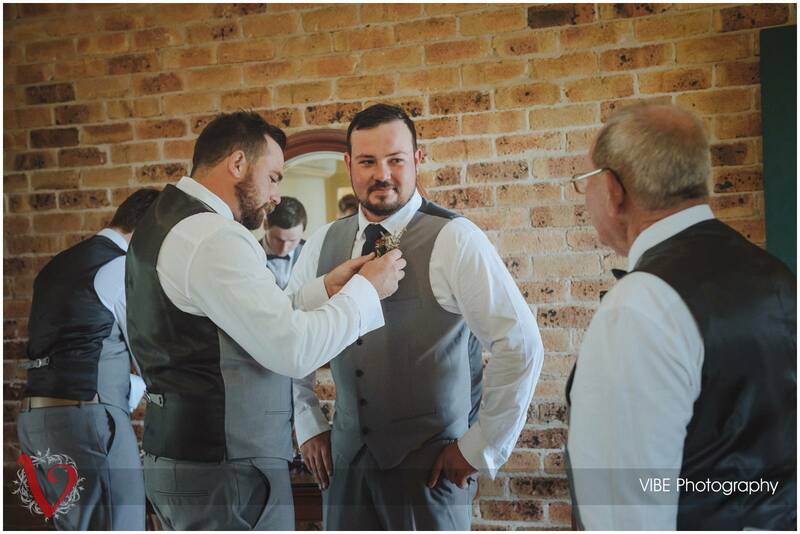 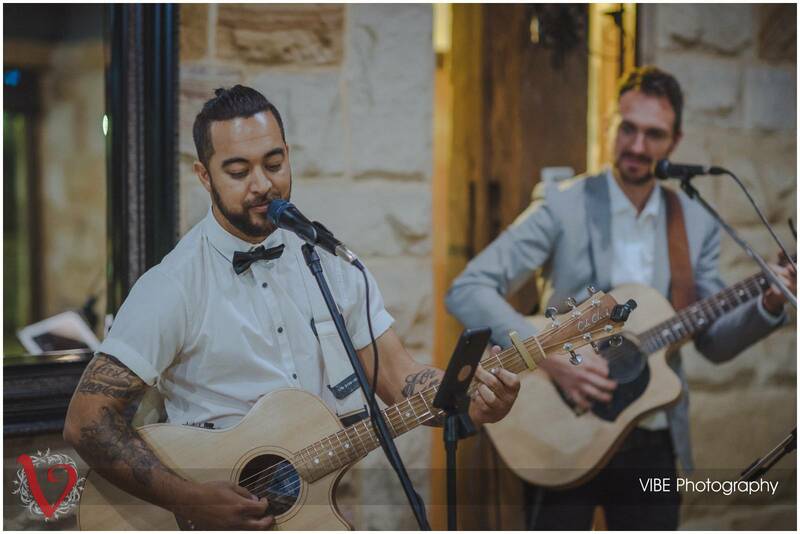 Recently, I was blessed to be a part of Danielle & Rhys’ wedding day in the always gorgeous Hunter Valley at Peterson House. 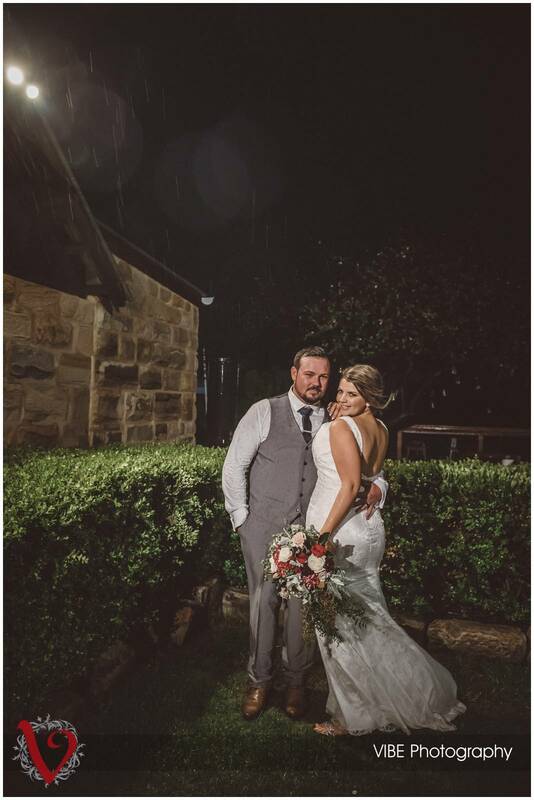 While the weather wasn’t as kind as it could be, this awesome couple rolled with it and still had the best day ever. 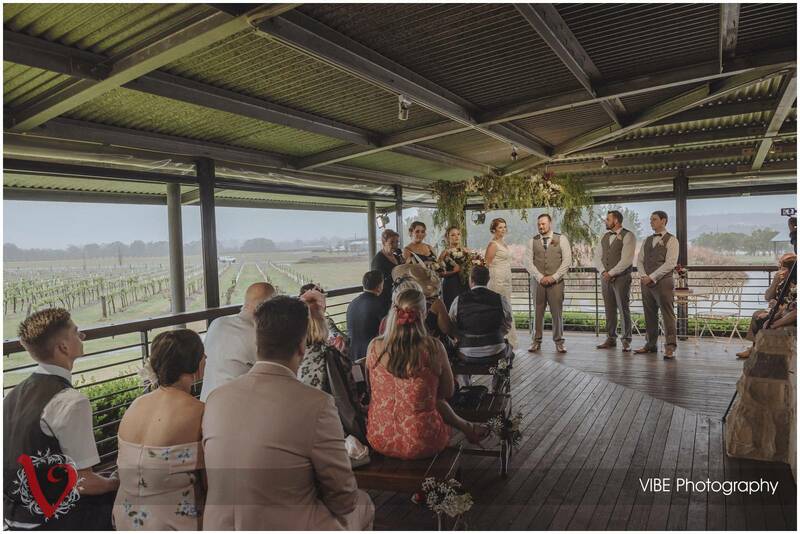 Peterson House moved their ceremony inside (which is such a great backup option) for a heartfelt service by their celebrant Francine. 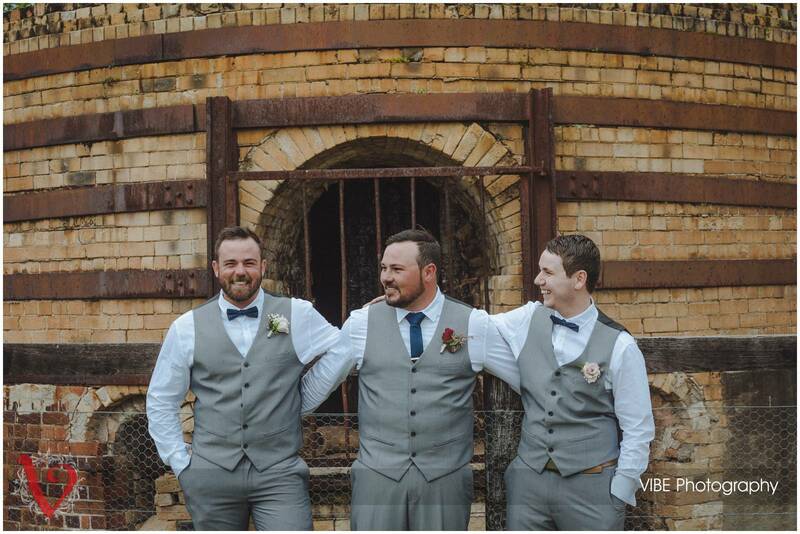 These guys couldn’t wipe the smiles off their faces, especially Rhys when he saw his stunning Bride Danielle. 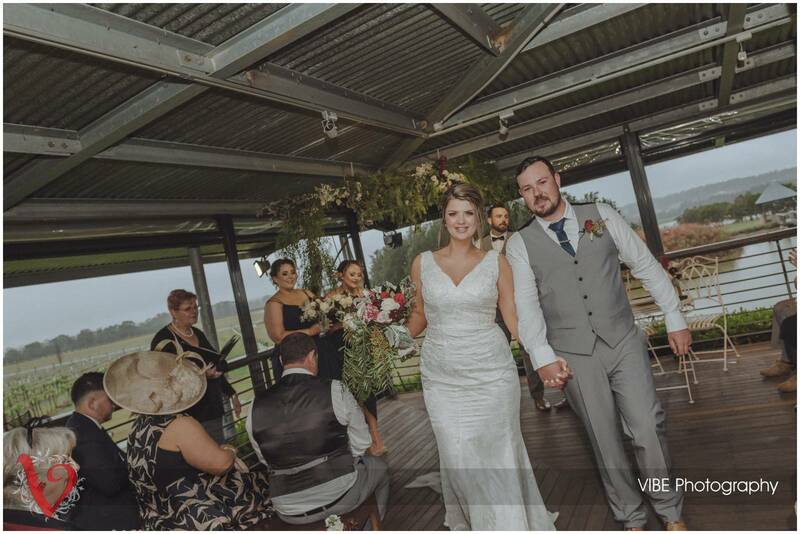 After the ceremony, everyone relaxed with some canapes and drinks and congratulated the newly weds. 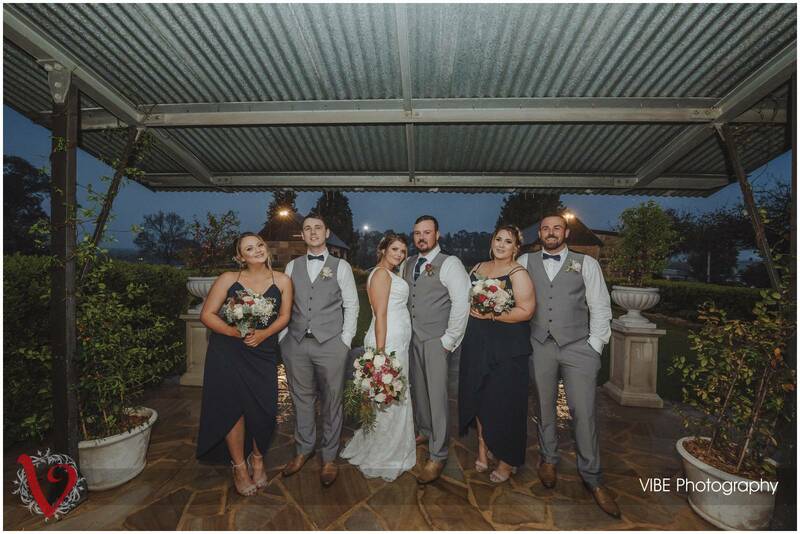 The bridal party and I then headed outside for some photos. 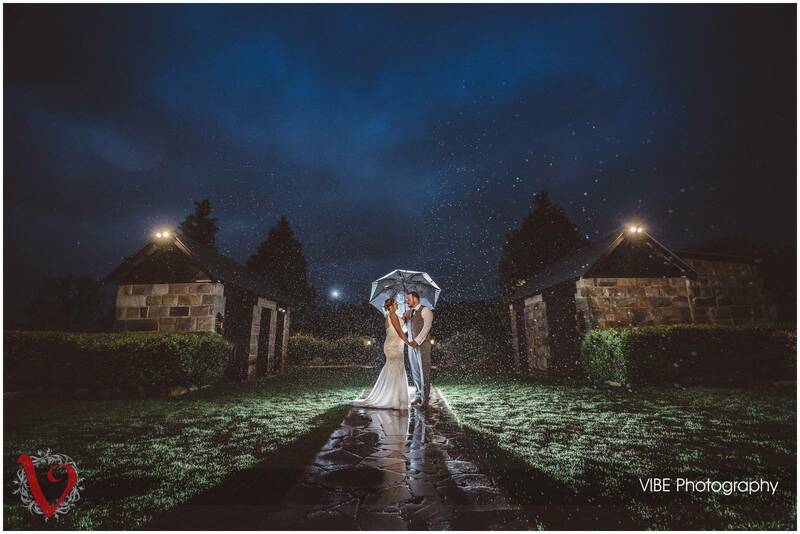 While it was on dark and raining, this didn’t dampen the spirits of Danielle, Rhys, or anyone in their bridal party. 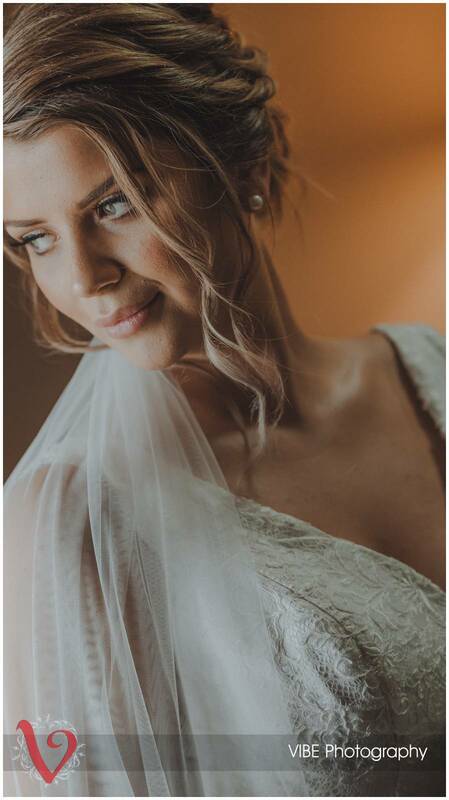 I captured some dramatic images of everyone using various lighting techniques, and I hope that you love the results. 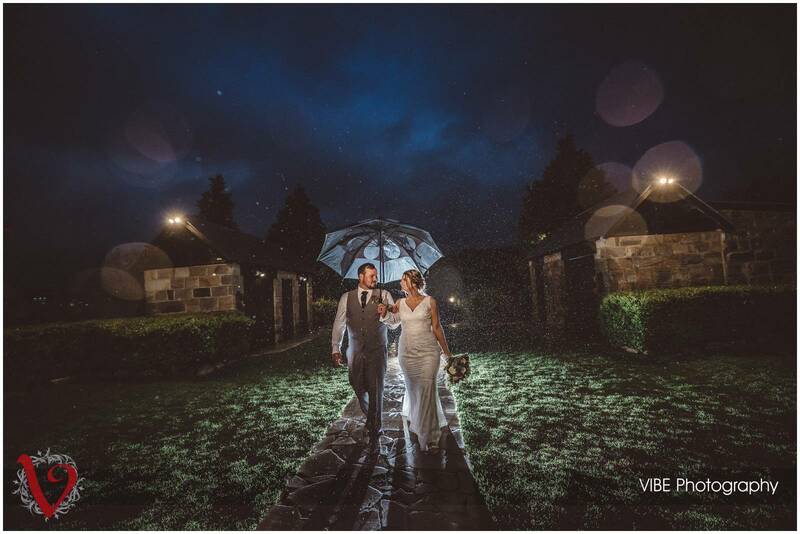 While many people balk at rain on their wedding day, it was so awesome to work with a couple that just didn’t care. 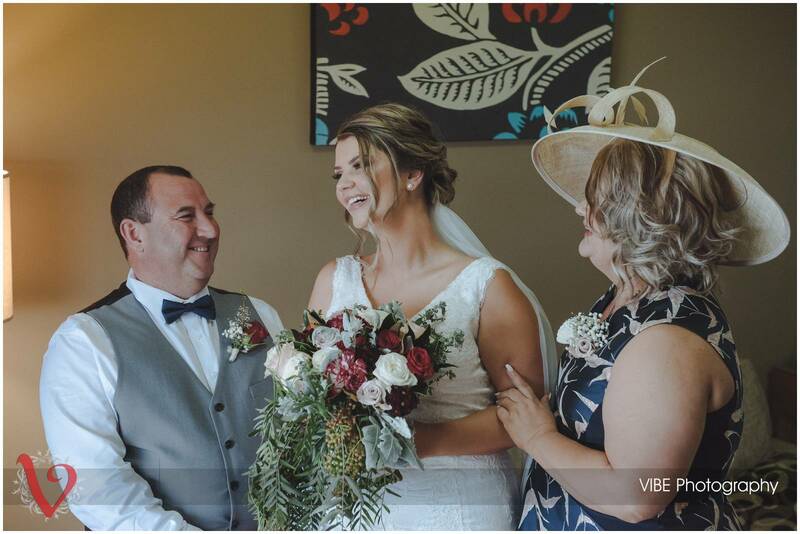 They were so happy to be there together, and this shines through in their photos. 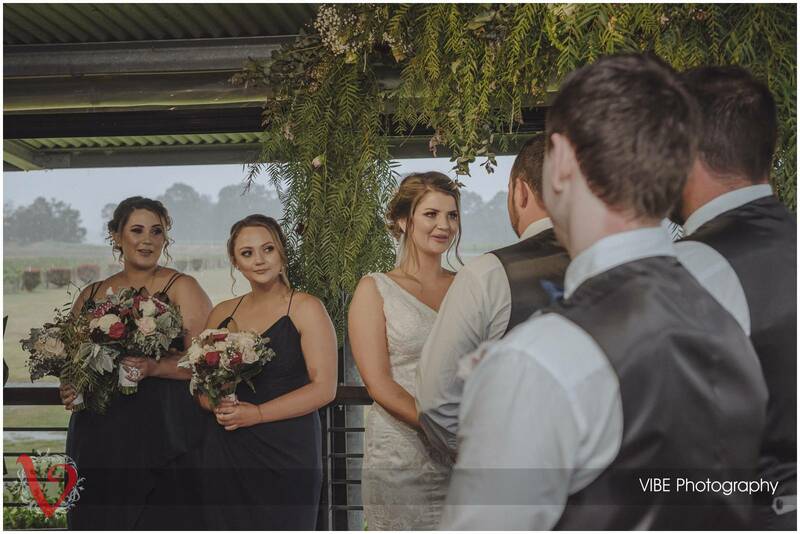 A big thank you to Danielle and Rhys for choosing me to be there on your wedding day. 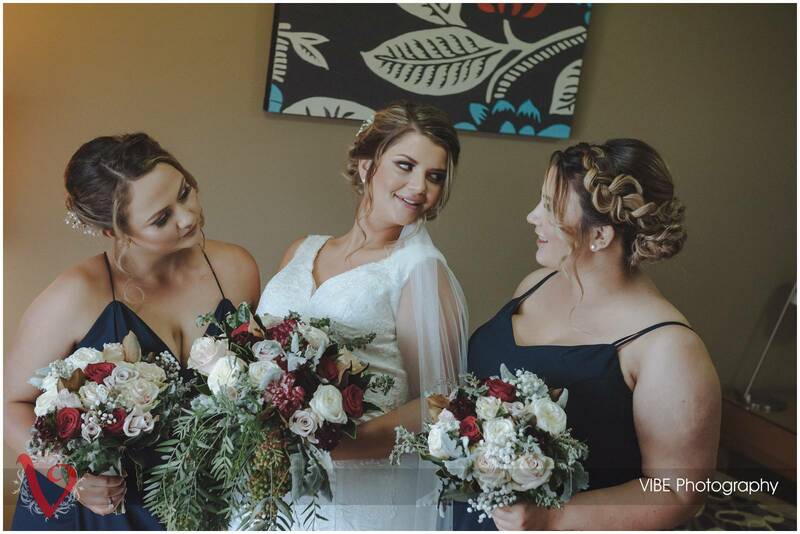 I really had the best day with you both, and hope that you, along with everyone who sees them, loves your wedding photos. 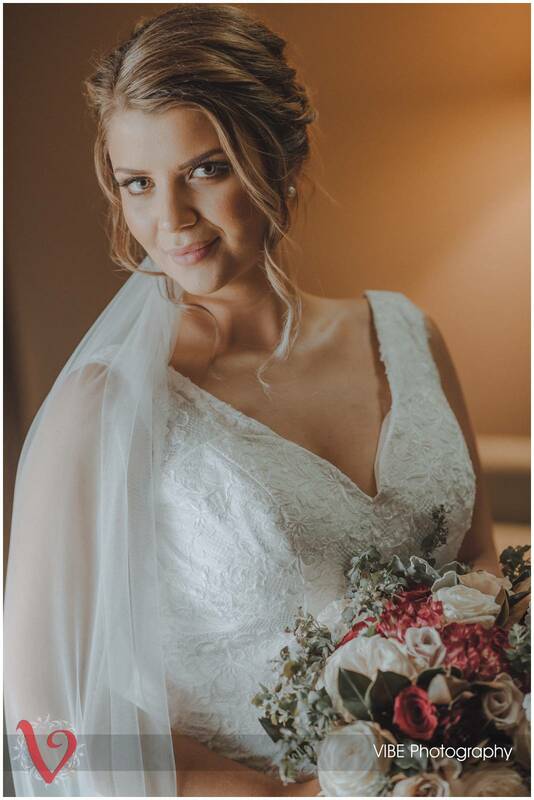 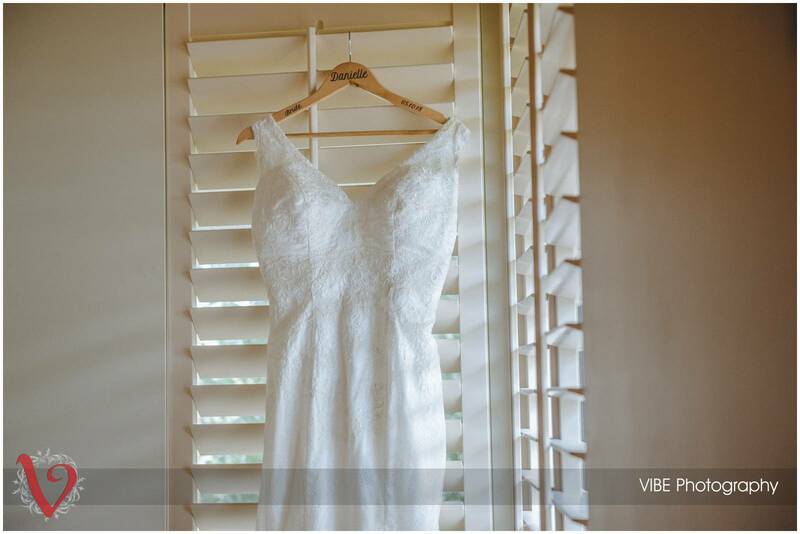 If you are a guest from the wedding, the secure online gallery is ready and can be viewed here. 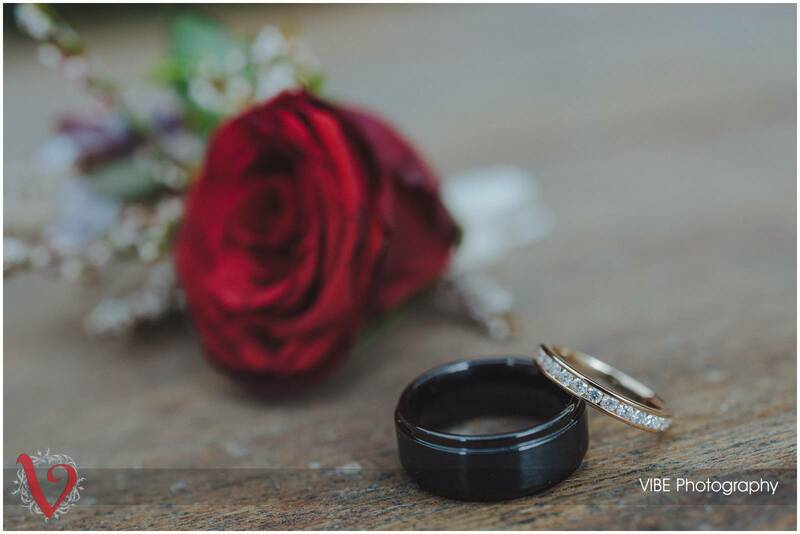 Make sure you have the password which was given to you on the night of the wedding. 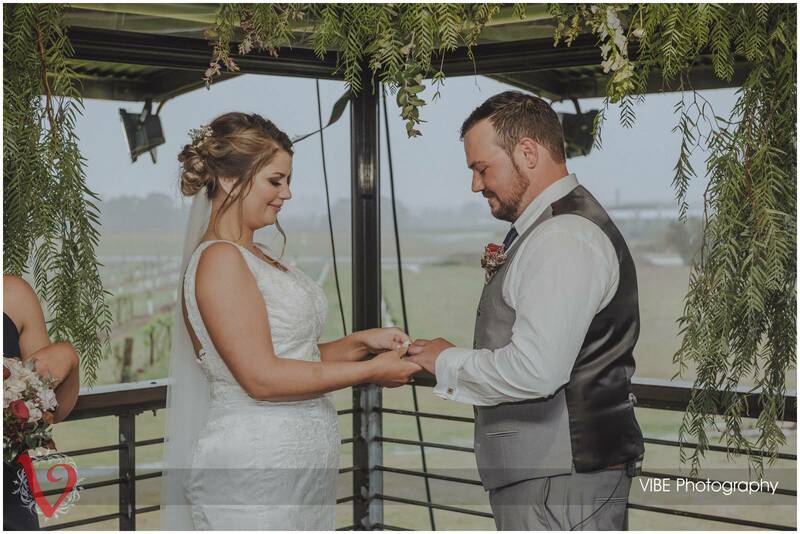 I hope that you love what you see! 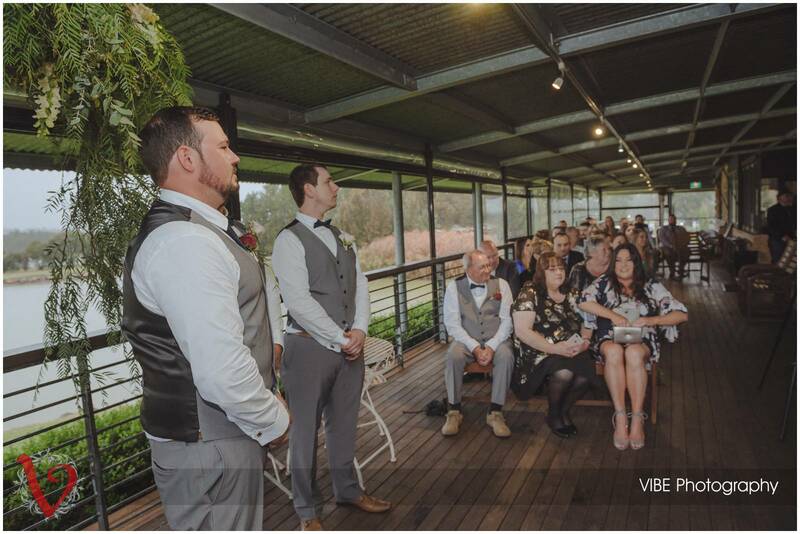 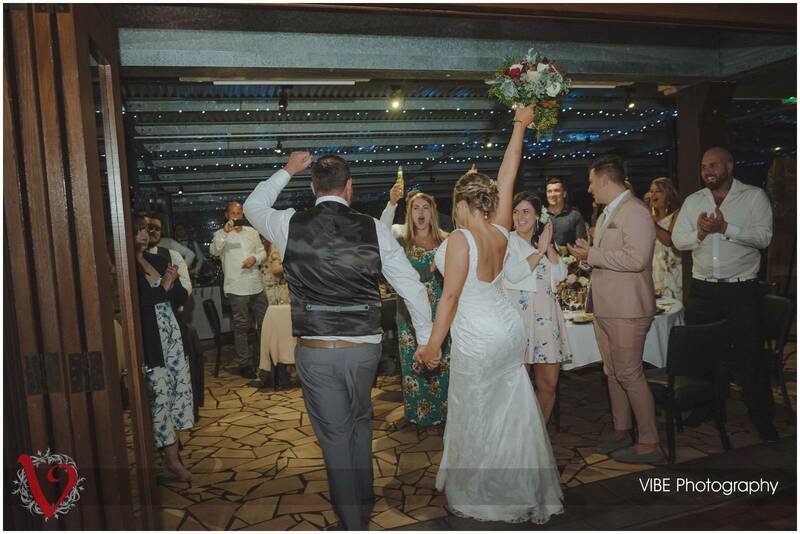 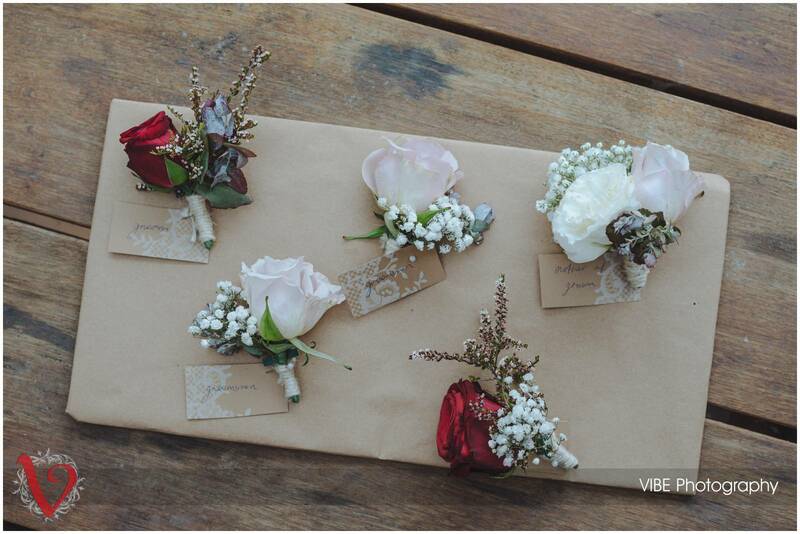 If you are looking at getting married in the Hunter Valley, then we’d love you to get in contact with us!